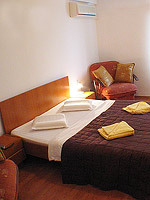 With EastComfort you have accomodation Bucharest as an alternative or hotels. 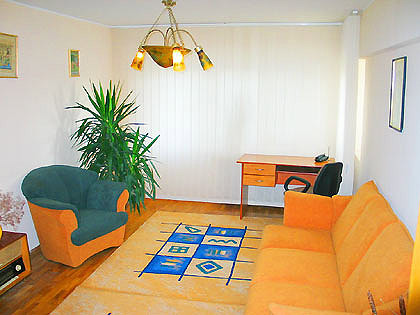 EastComfort's apartments in Bucharest will suit every need and desire, and are ordered below by popularity, price or the number of guests. 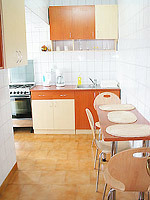 This wide flat is centrally located on the Unirii Boulevard and ensures a good Bucharest accomodation. The entire area and the buildings are permanently security guarded. Due to its facilities and stylish decorations, high-techs and comfortable furniture (an extensible coach, 2 velvet armchairs, table, desk) the large living room is proper for both leisure and business travellers. If you want resting hours, the large bedroom can offer intimacy and comfort with its master bed and light setting. 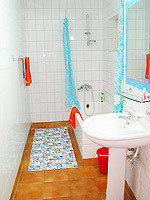 The up to date kitchen fulfils any taste, while the large bathroom is equipped with bath fixtures.